How many bundles do you need with 360 lace frontal? In the USA, the average size of a woman's head is 22.5 inch. Grab your measuring tape and wrap it around your head 360 degree to figure out your head size. If it’s above the average you may need more virgin human hair bundles. If it’s less, you may need less. General estimation rule: the longer the hair, the less the bundles you need! This is because different length has the same weight. With the same weight, short hair seems full and long hair seems thin. The chart will help you how many bundles choice for different lengths. From the texture, curly and straight hair gives the different volume impression even if with the same size. Curly hair seems more full so you can buy 2-3 bundles. Straight hair seems not that full so you can buy 3-4 bundles. Not unique but important factor is how full you wish your hair. If you want much volume, you can buy more bundles without any leaving out. If you only need part sew in, you can buy less bundles. 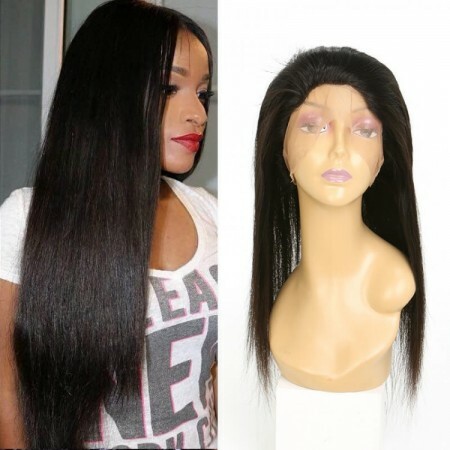 In summary, the bundles quantity with 360 lace frontal depends on your actual situation and your personal requirement. Dsoarhair.com supplies 2 bundles and 3 bundles with 360 lace frontal for your choice. Welcome to choose!